Florence has a long history of tourism. The city was settled in the first century B.C.E. It is not a city built to accommodate the massive numbers of tourists eager to check out the architecture, public plazas, and world-class gelato, which has led to overcrowded streets and angry locals. In response to overtourism, a new city ordinance went into effect yesterday that attempts to alleviate sidewalk congestion by banning public eating on certain busy streets during peak times. People caught eating on four streets in the city’s historic center could face fines up to 450 Euros ($522 U.S.) for violating the law. 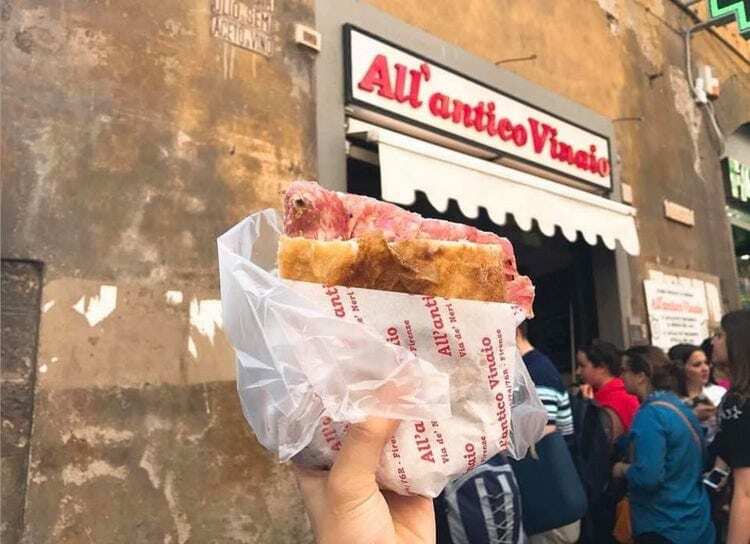 The Independent reports the ban especially takes aim at visitors to legendary panini shop All’Antico Vinaio and popular Gelateria dei Neri, who are known to squat on sidewalks and in doorways enjoying their snacks. But is it fair to ask people to walk back to their hotels before enjoying a warm, crusty panini, or to take a bus before they can dig into their now-melted gelato? Florentine authorites will give the new ordinance four months before it’s set to expire, at which point they will presumably assess its efficacy in reducing massive-amounts-of-people-sitting-everywhere-and-littering. There are ways to avoid the fine that doesn’t involve melted gelato, though: Eating is only prohibited on the four streets—Via de’ Neri, Piazzale degli Uffizi, Piazza del Grano, and Via della Ninn—from 12-3 p.m. and 6-10 p.m.